GTA Lockman is proud to have a working relationship with so many of Ontario’s top commercial companies. We provide complete commercial locksmith services, including keyless access systems and emergency office lockout services. We provide the most economical and effective solutions for your commercial locksmith needs. 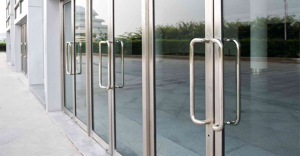 Whether it’s installing the first locks at your new office, replacing existing locks to enhance security or assisting you in a lockout situation, GTA Lockman offers qualified, professional service whenever and wherever you need it most. GTA Lockman’s team of experienced, professional locksmiths are available 24 hours a day, seven days a week, for all your commercial locksmith needs. We work around the clock so that you can get the help you need where you need it and when you need it. If you ever find yourself locked out of your office, there’s no reason to cancel a day’s work. Our expert locksmiths will come to you and provide Toronto’s finest emergency office lockout services. We’ll get you back in to your business in no time. If your business needs its locks replaced or repaired, GTA Lockman is your best bet. Locks are a crucial part of your business’ safety and security. We’ll help you secure your business with our fast response times and years of experience, allowing you to get on with your business with a minimum of fuss or delay. GTA Locksmith can install the latest and greatest keyless access technology, bringing your company’s security to new technological heights. Keyless access can reduce your overhead, protect you from lost keys and forgetful employees, and generally enhance the safety of your business.